This time we helped out TheMolecule in NY for the show "Quantico". 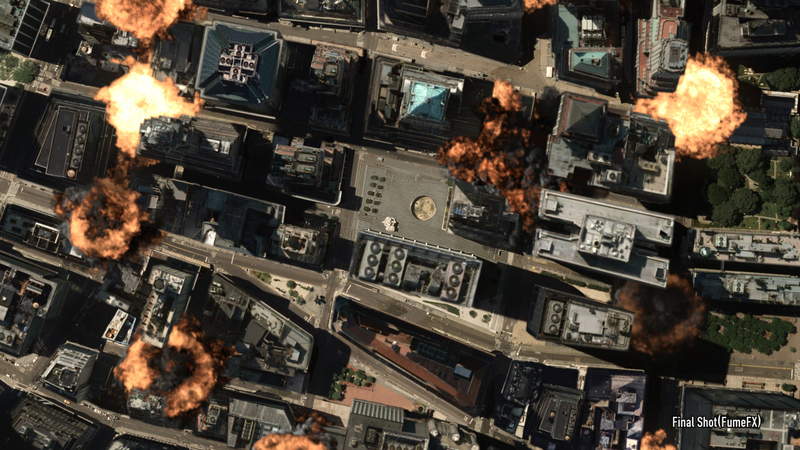 This is a series of explosions blocking streets in the aftermath (not shown). Quick turnaround, all FumeFX. The final comp is a mix of multiple simulation versions as they had all different likable properties.